There may have been little love for the Apple TV at the iPhone XS reveal, but it wasn't left completely off the agenda. Its latest software update, the tvOS 12 revision, recieved a release date, and is set to land on September 17. First revealed back at WWDC 2018 earlier in the year, its headline features bring Dolby Atmos overhead surround sound to the platform, in addition to the Dolby Vision HDR standard. It'll also add a new zero sign-on feature, which means that, so long as your TV provider supports the service, simply connecting your Apple TV to your home Wi-Fi network will see all required passwords entered automatically on your behalf. So far it's a US-only feature, with only the Charter Spectrum provider supporting the zero sign-on tool. But Apple promises further support is on the way. 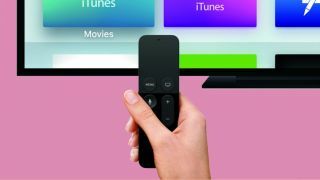 Other features of tvOS 12 include a password auto-fill feature, a batch of new screensavers and the inclusion of the software Apple TV remote inside control center for iOS 12 as standard. Some solid quality of life improvements then, but we're still waiting for the day that Apple really knocks it out of the park with Apple TV, and proves its serious about its ongoing TV hardware and original content strategy. Apple TV 4K review: does Apple deserve a place in your living room?